Monmouth Pain and Rehabilitation brings Power Plate Vibrational Therapy to Monmouth and Ocean County at our Shrewsbury, Freehold, Wall, & Lacey NJ Treatment Centers. 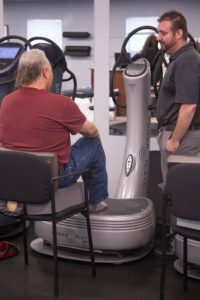 Supplemented into many of our patients’ physical therapy programs, our physical therapists have found that integrating this cutting-edge equipment can help with rebuilding bones, muscle strength, conditioning, and overall exercising performance. 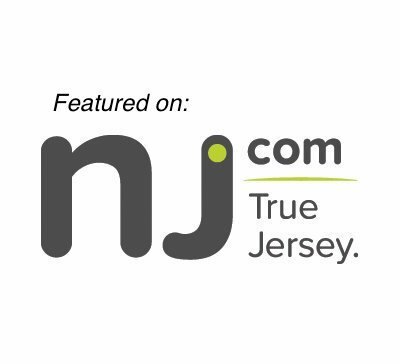 If you live in Monmouth or Ocean County NJ, contact Monmouth Pain and Rehabilitation today and ask about how Power Plate Vibrational Therapy can be integrated into your physical therapy program for optimal results. The Power Plate machine consists of a positioning plate that creates a vibration which when stood, kneeled, or laid upon distributes vibrating currents through the patient’s body. These vibrations stimulate our patient’s muscles and tissues as you exercise or perform stretches on it. The high-speed vibrations stimulate the muscles, causing them to contract and then relax. The oscillations are so rapid your muscles are forced to perform multiple reflexive actions, sometimes as much as between 25 to 50 times per second. Power Plate Vibrational Therapy has been linked to a wide range of health benefits including strength, balance, flexibility, weight loss, improved circulation, pain reduction, detoxification, stress alleviation, and reduction of cellulite. Many studies have shown that whole body vibration (WBV) can effectively treat symptoms associated with multiple sclerosis, cerebral palsy, cystic fibrosis, diabetes, obesity, osteoporosis, and improve gait and mobility problems brought on by aging. Power Plate therapy is particularly good for those who suffer from pain or injuries because it can still strengthen and condition the muscles even when a full range of physical motion is not possible due to the injury or pain. Contact Monmouth Pain & Rehabilitation in Shrewsbury, Freehold, Wall, or Lacey!